Charlie Brear is a contemporary bridal and eveningwear label. 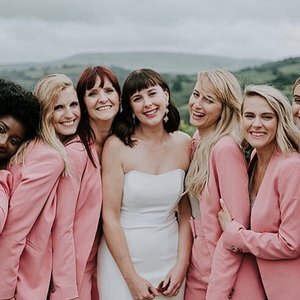 The bridal collection is stocked in 60 Wedding Dress Boutique London and has attracted a cult following from spirited and modern brides who want their wedding dress to be as unique as they are. Since founding the brand as creative director and designer, the journey has been an all-encompassing one for Charlie. Drive and a true passion for her craft has enabled the eponymous label to grow from a fledgling start-up to a global success story rooted in Britain. With external demands, a young family and a growing team to manage, Charlie knows only too well the devotion needed to oversee a business.